I have a problem. It’s an obsession with small, cute things – and I don’t just mean puppies and ducklings. In fact, a miniature version of just about anything is enough to make me swoon and set up a Pinterest board. 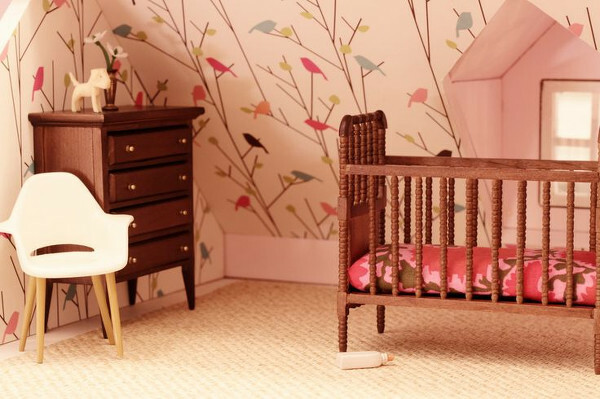 Despite the ridiculous number of stunning dollhouses that we review every year here at Babyology, I thought I was safe, because after all, who can afford to own more than one (or three) of those? But now I’ve discovered the DIY dollhouse movement, and I think I might be in trouble. The pictures speak for themselves here (and what they’re saying to me is, “Go on! How hard could it be? You could totally make one of these in the 20 minutes of free time you have every day!”) – so I’ll let them do most of the talking. As any builder knows, the first thing you need for a house is a frame. 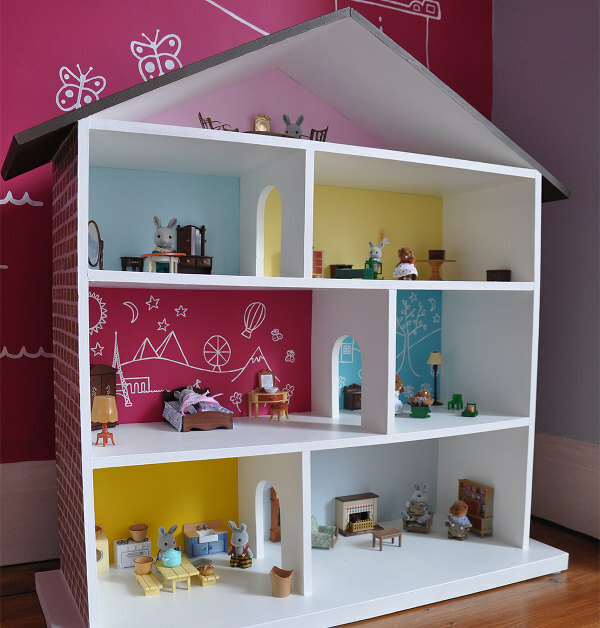 Going DIY with your dollhouse means you can choose how elaborate you want your building to be, and whether it’s a bang-up construction meant to last a few weeks, or a heritage listed house meant to last until your great-great-grandchildren finally throw it out. 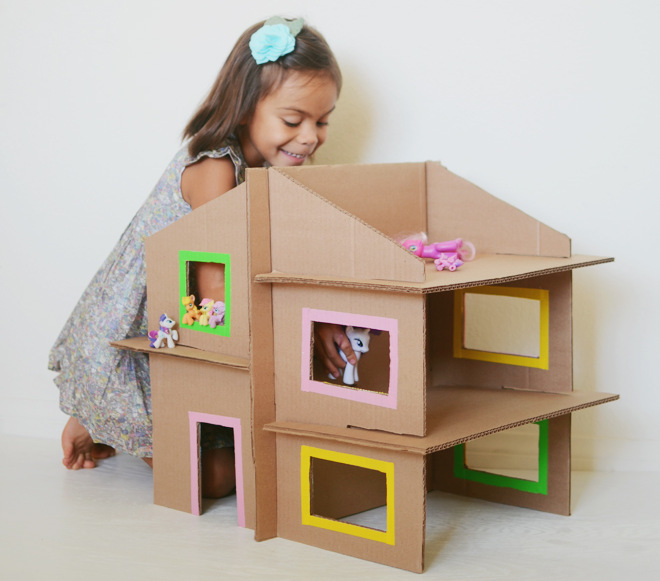 At the most basic end of the construction scale is cardboard, like in this great example from Cakies, who also provides instructions and basic templates if you’d like to follow her lead. It’s amazing what can be achieved with a stanley knife and some washi tape! An even more basic cardboard design (at top) involves less cutting and more decorating, and could even be achieved by stacking similar sized shoe boxes together. Check it out at Mer Mag. Actually, it can get even more simple than that. 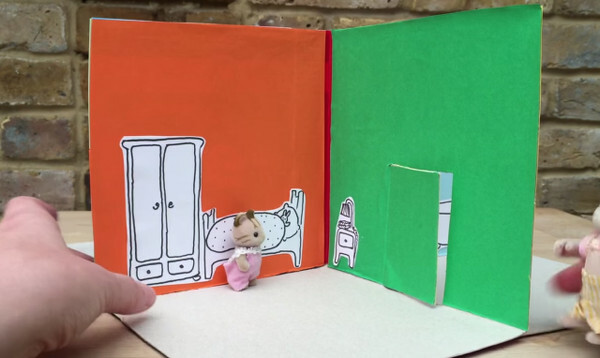 This foldable version from Red Ted Art is made entirely from a cereal box, with complete directions on how to make your own. What if you want to make something a bit more sturdy? There are no end of options, but the ones providing the most instant gratification rely on repurposing something else for your house – and the easiest options are bookcases. Here’s one from Land of Nod, with details about how to build something similar. 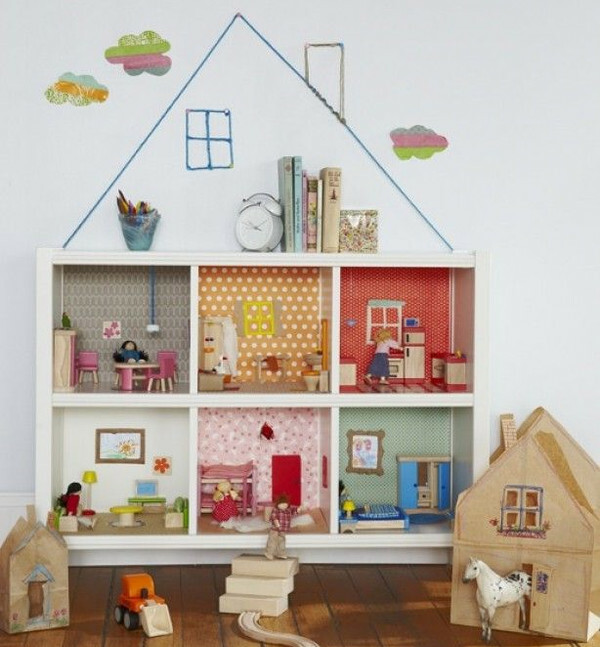 There are a huge number of repurposed bookshelf dollhouse ideas floating around the web. Of course, you don’t need to stick to a bookshelf – anything with space inside that could form rooms is fair game. I love this recycled vintage suitcase from the Hallmark Channel. It has the added bonus of being completely portable. Even more ambitious? Then it’s time to talk about building your own wooden structure, and there are plenty of plans and ideas online. 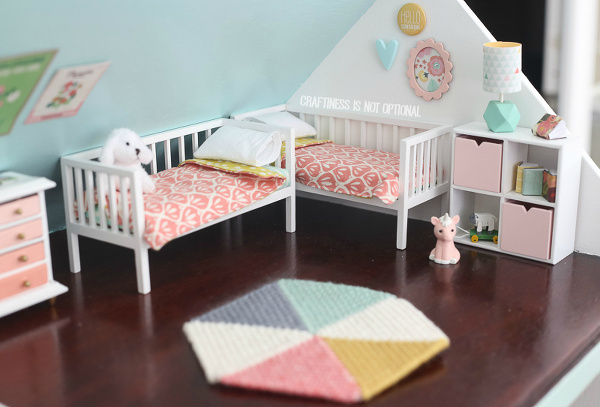 This one from Ana White has free plans you can download to make your own dollhouse. For most of us, the fun will really begin with interior decorating. Miniatures are a booming business on Etsy, so you don’t need to make your own furniture and knick-knacks if you don’t want to. 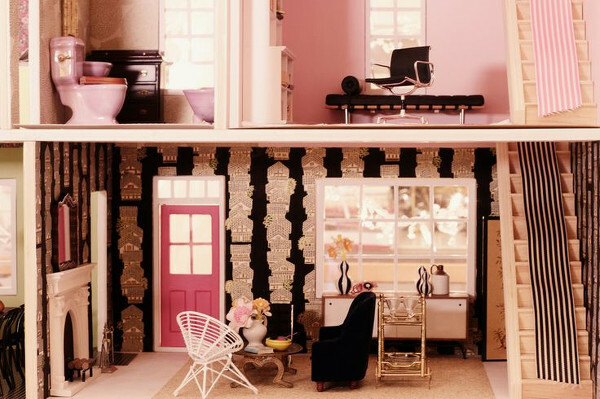 Of course, if you do want to, the internet in general (and Pinterest in particular) is full of ideas and tutorials on how to make your own miniature dollhouse furniture and accessories – everything from upholstering a tiny ottoman to creating a tiny straw broom or a stone fireplace. It was ridiculously difficult to narrow down the pictures, but here’s a small selection to get your creative juices flowing. A fairly simply styled house from Simply the Nest, including great instructions on how to paint a brick wall! How could you resist this perfect little nursery, complete with homemade floor rugs and miniature Ikea shelving? It’s from Craftiness is not Optional. Get a cup of tea and check out the whole house – I promise you won’t regret it. Another gorgeous nursery, this time from Making it Lovely. 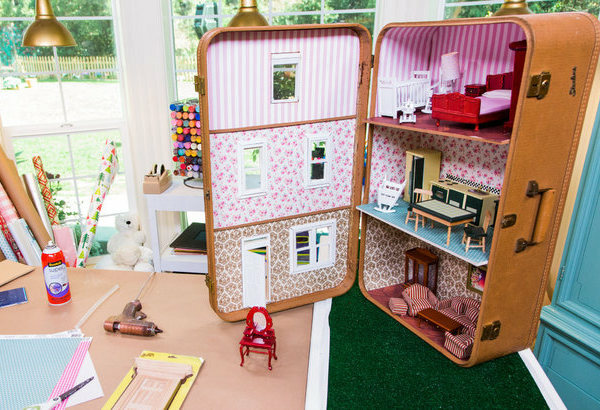 This dollhouse is so gorgeous you’ll wish you could shrink yourself. Downstairs in that same house, you’ll find an amazing bathroom, lounge room and study nook. 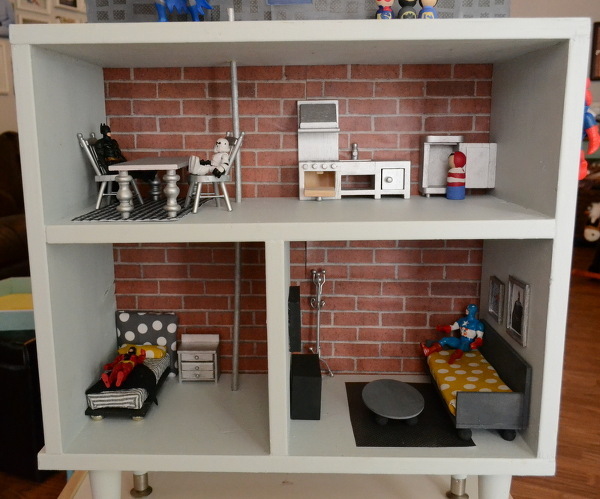 And just to prove that there really is a dollhouse out there for every child, here’s an amazing DIY “Super Hero House” made by Diary of a Preppy Mom. There’s plenty of room here for superheroes to put their feet up during their downtime. I particularly love the exposed brick wall – very on trend! Prefer to just buy one ready made? 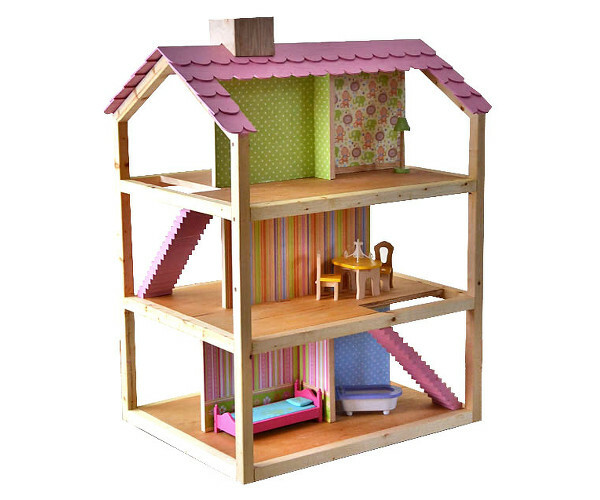 Check out our past posts on fabulous doll houses, ready to move in.